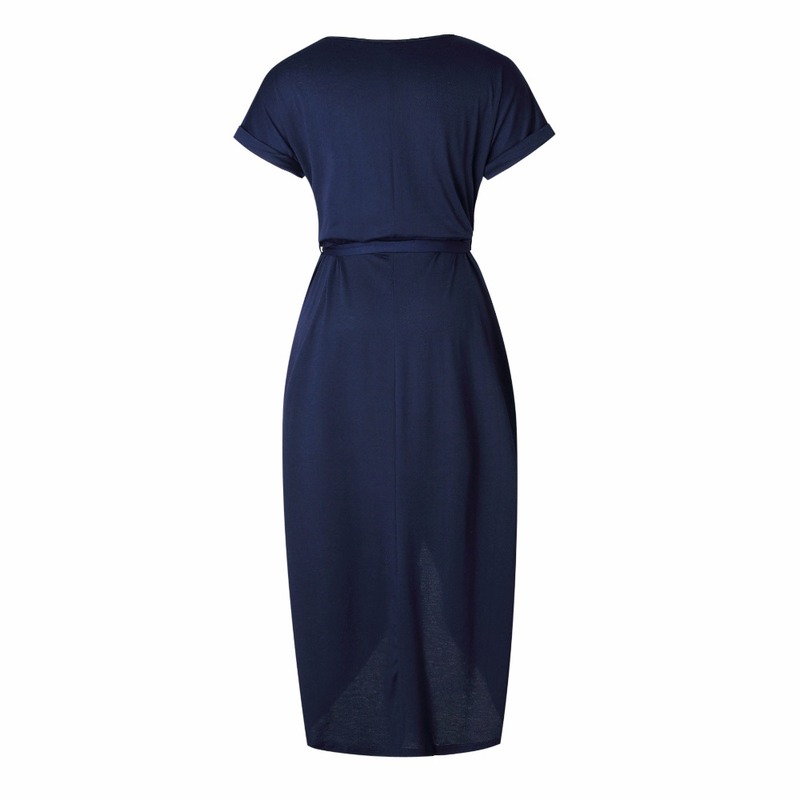 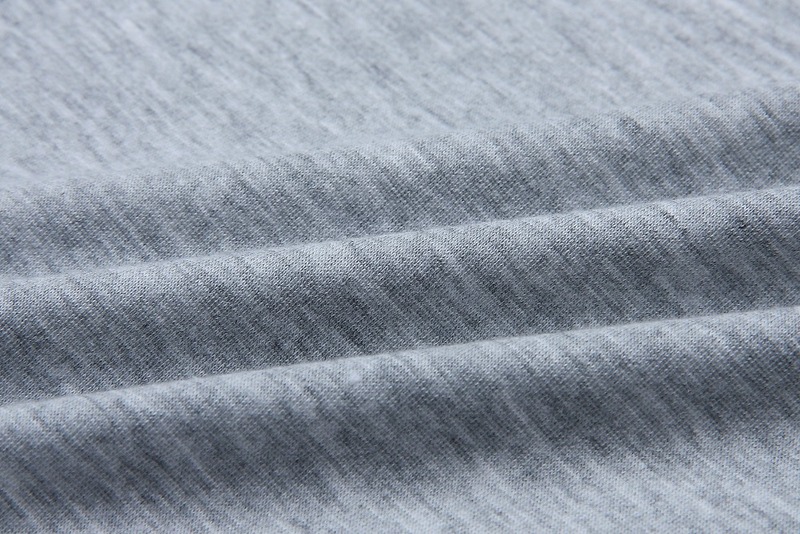 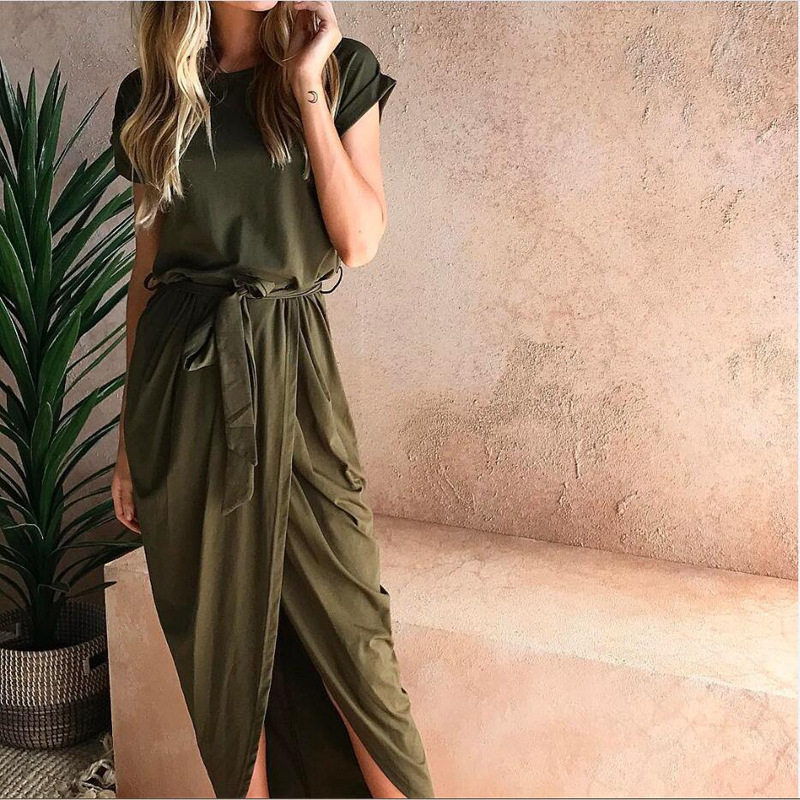 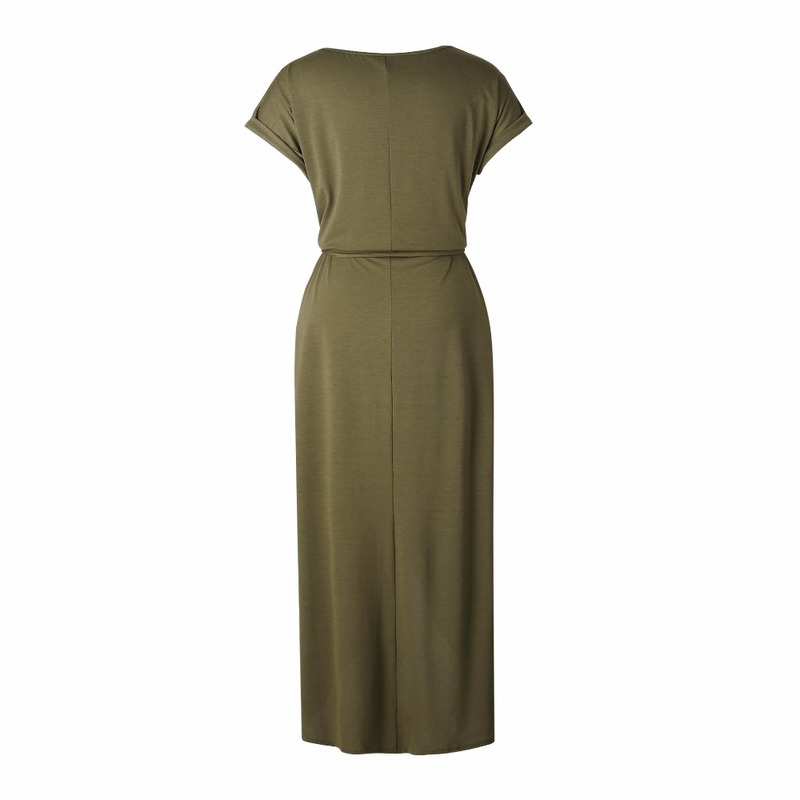 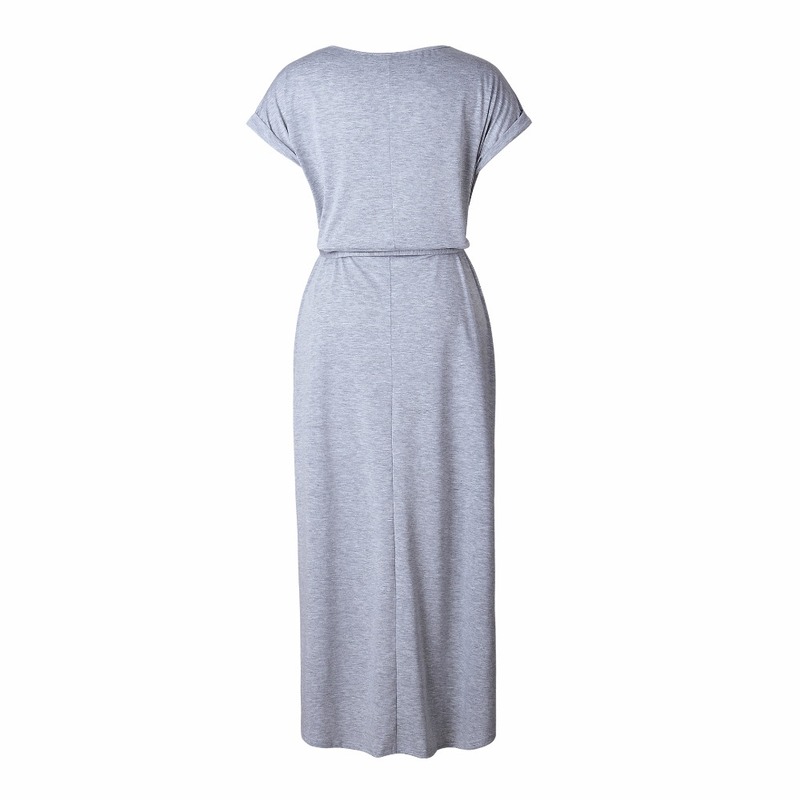 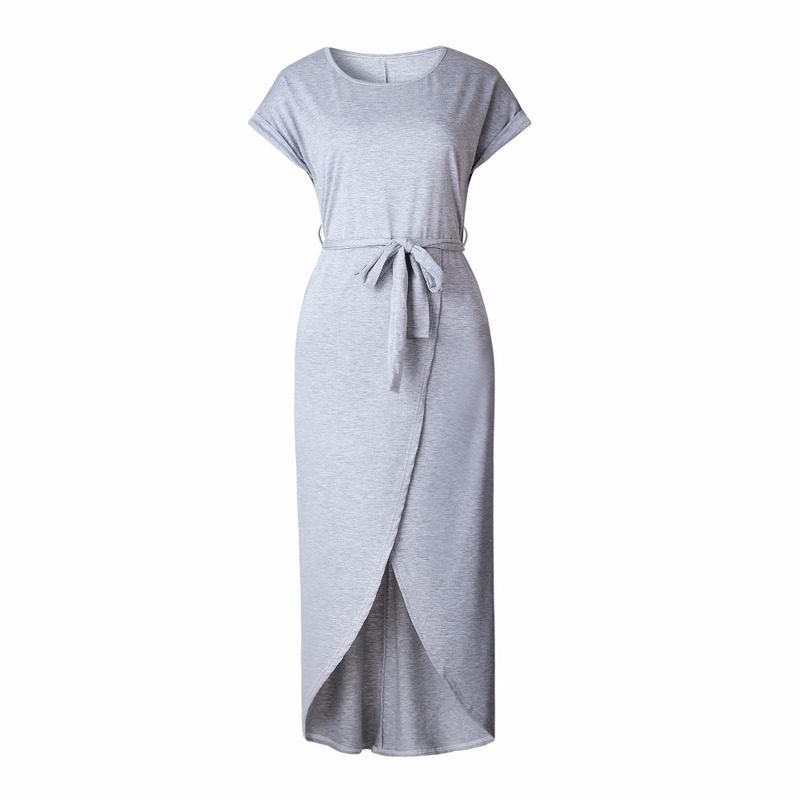 Casual type solid pattern ankgle- length dress. 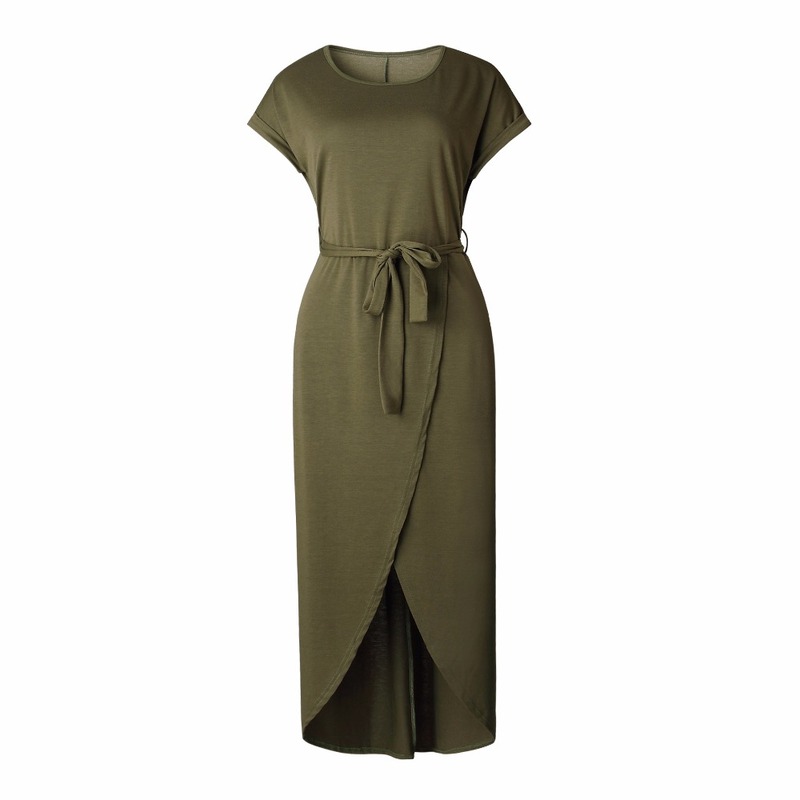 This dress has short sleeves and an empire waistline. 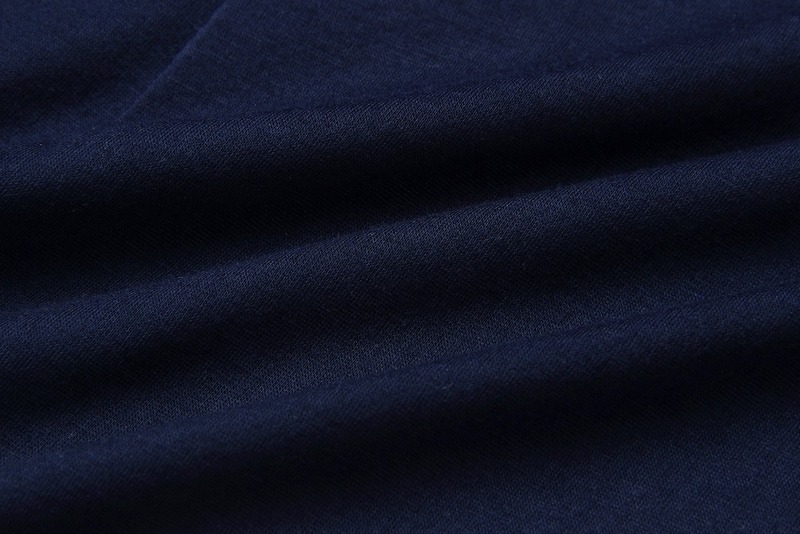 Made out of best quality polyester and spandex this dress will suit you for years.